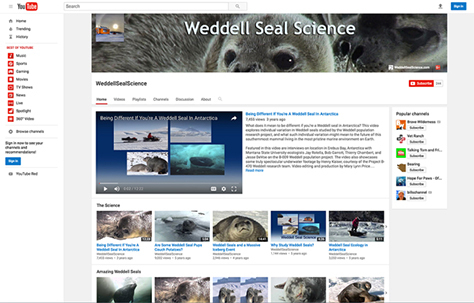 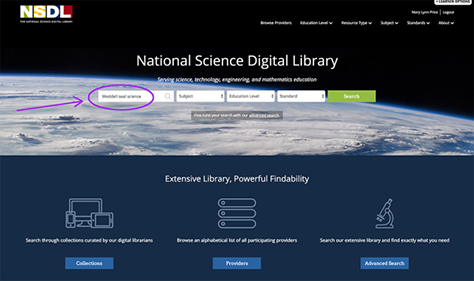 To easily get to our products at the NSDL, go to their easy-to-use website and type "Weddell Seal Science" in the main Search field to access, watch, and download a selection of our project videos. 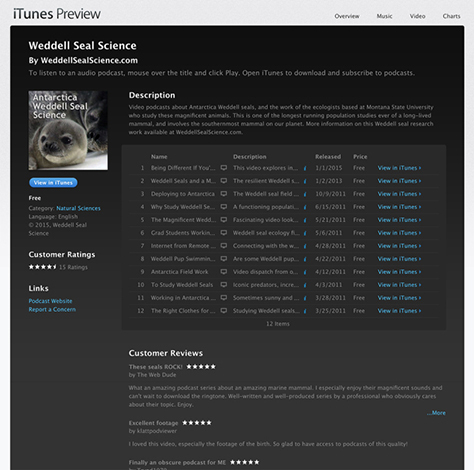 Viewers can check out and download videos for personal enjoyment and informal science learning and teaching. 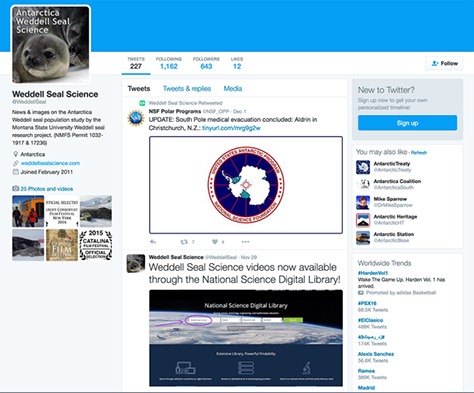 The videos can be remixed to create new educational products. 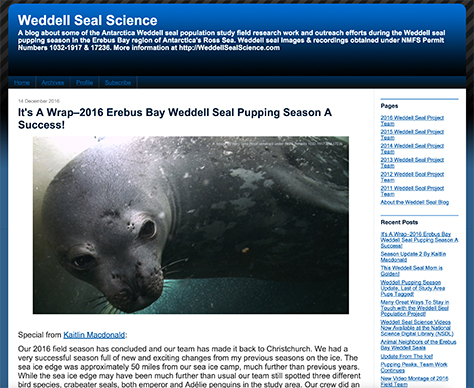 Please check out our Instagram photos and accompanying narrative captions. 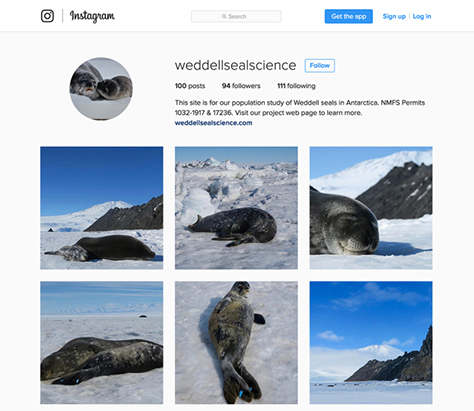 The photos are beautiful, and often available only through our Instagram page, which is produced by lead scientist Dr. Jay Rotella and his daughter, Sophie Rotella. 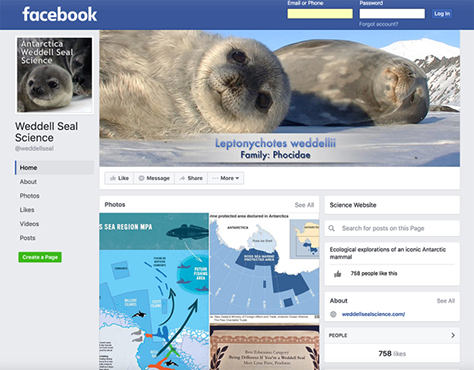 Please Follow us on Instagram! 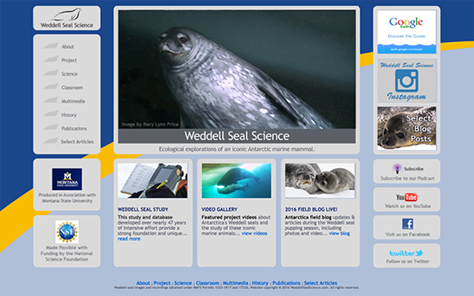 Created Over the Years During the Weddell Seal Pupping Season. 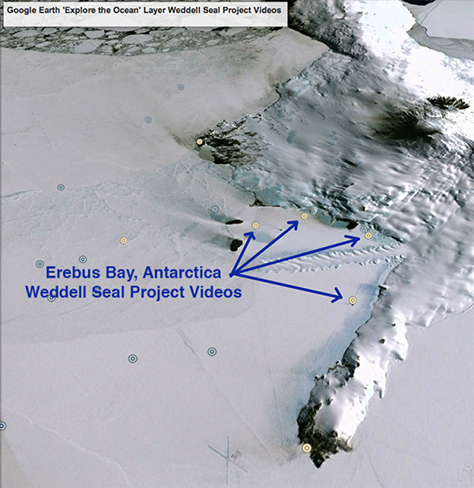 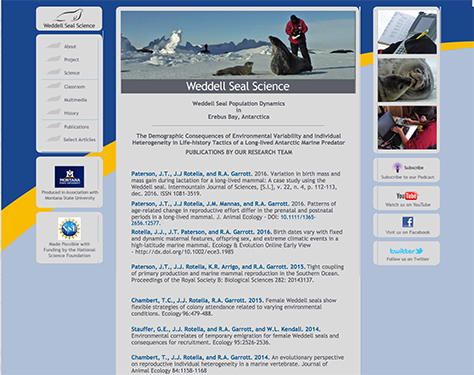 The Entire Weddell Seal Science Field Blog Can Be Found Here.